When starting to think about what to focus on in this October’s #Italianfwt article where the theme will be Lugana DOC wines, I was a bit unsure. Then I got the idea to put three different Lugana wines in comparison. This will, however, be a bit different comparison in the sense that it will be three Lugana wines tasted in three different occasions and time periods. The three producers and their Lugana wines I will write about are Il Lugana DOC 2017 from Pasini San Giovanni winery, Lugana DOC 2017 from La Meridiana winery, and Lugana Riserva DOC Menasasso 2013 from Selva Capuzza winery. 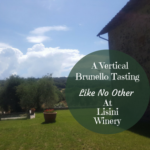 Two are young Lugana DOC wines from 2017 that are matured in steel vats only while the third wine is a Riserva where a smaller part of the must have also fermented in barriques to get more character and elegance. 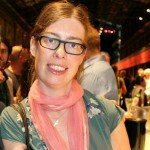 This might seem difficult to do a comparison with the third wine being slightly different, however, I think it can still be a way to show various characteristics of Lugana wines. 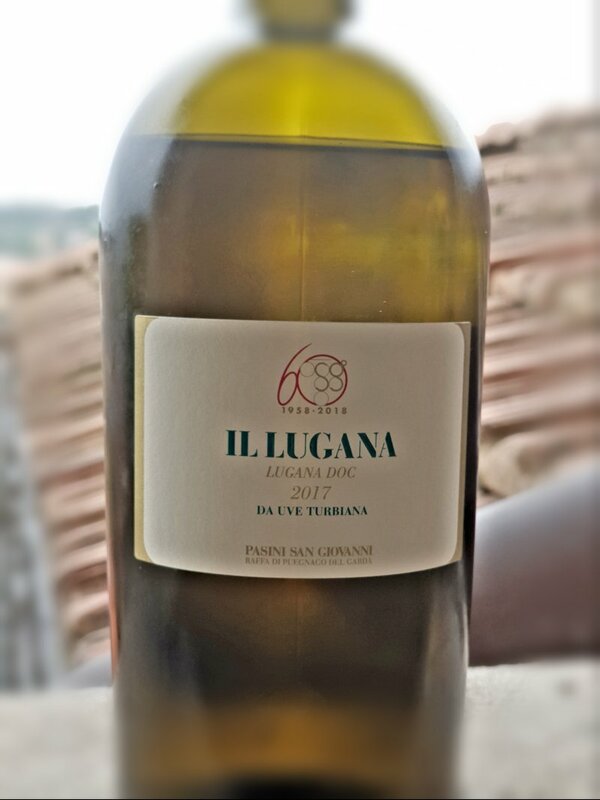 The theme this month, October 2018, will be For The Love Of Lugana in the Italian Food, Wine, and Travel (#ItalianFWT) group. As briefly mentioned above, I will be focusing on three different Lugana wines that I have tasted in different occasions. This will be a way also to show younger Lugana versus a more aged Lugana wine. On Saturday, October 6th you can join us on Twitter at 11amEDT / 17.00 CEST to learn more about food, wine, and travel in relation to the Lugana DOC wines. Just type in the hashtag #ItalianFWT in the search field and click Enter, thereafter, you click Latest which will show you all the live tweets. The Lugana DOC territory is furthermore considered to divided into two main areas; one more of flatlands and one more in a hillside area. The flatland side includes Desenzano, Sirmione, Pozzolengo, ad Peschiera. Thus, this first area stretches over both Lombardy and Veneto. The more hill dominated area is around Lonato and continues toward Pozzolengo. The soil is mainly of clay in both areas even though it is sandier in the area around Lonato. It is a soil with layers of clay that is of glacial moraine origin and thus, just as Roberto Leali told me, very hard to work but a soil where Turbiana thrives. 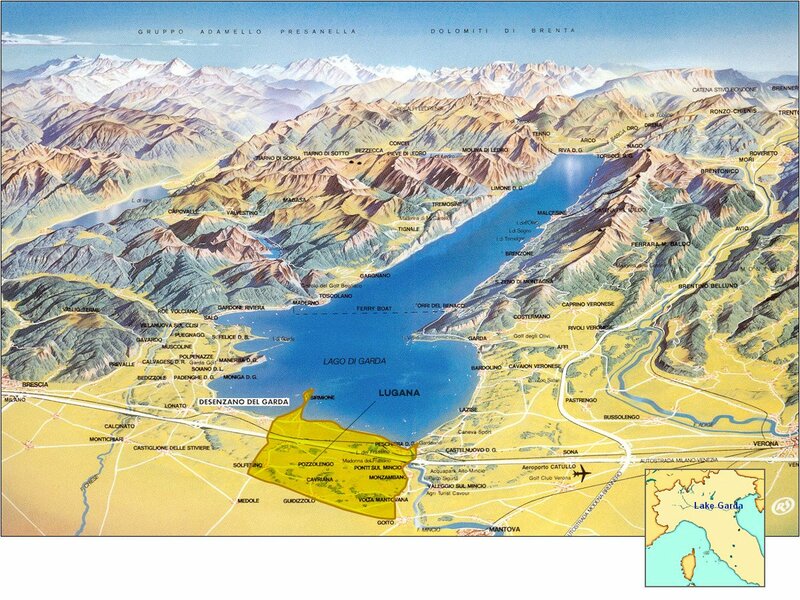 The areas, as I mentioned before, are all situated by Lake Garda. The particular thing about this lake is that it was formed about 1,5 million years ago when an ice glacier pushed down from the Brenta Dolomites. When the glacier then melted it turned into the today’s freshwater lake. The rocks that were pushed down with the glacier are what today gives minerality to the soil and in turn saltiness to the wines. So, what about the grape with a big T then? Turbiana is the grape variety mainly being used in the production of Lugana DOC wines. 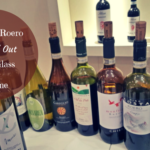 According to the regulation, up to 10% of other local (in the province of Brescia and Verona) and non-aromatic white grape varieties can be used in Lugana DOC wines. Turbiana also goes under the name Trebbiano di Lugana. It used to be considered that Trebbiano di Lugana was a synonym to Trebbiano di Soave that in turn is considered to be the same as Verdicchio. However, later research and DNA tests seem to have shown Trebbiano di Lugana to be slightly different genetically speaking. Also on the Consortium’s website, they stress that Turbiana aka Trebbiano di Lugana has a different aromatic bouquet and also presents some other different characteristics. One thing is sure though; the microclimate around Lake Garda is just perfect for the Turbiana grape. The soil in the Turbiana vineyards that is in the Lugana DOC area is mainly clay and gives elegant wines with a complex bouquet. The Turbiana vineyards are organically certified and their Lugana DOC will be labelled organic from 2018. 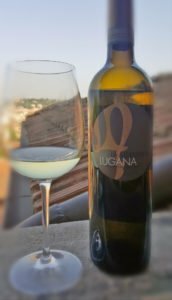 Their Lugana DOC 2017 is a 100% Turbiana wine that is fermented with selected yeasts in steel vats. 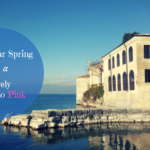 The minerality and the influence of Lake Garda are very evident in this wine. It has beautiful fruity notes, such as of peach, floral, and also a more green or herby undertone. A very fresh, smooth, and pleasant wine. Pasini San Giovanni is a winery located in Raffa di Puegnago that is also in the province of Brescia. 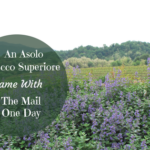 The winery dates to the 1950s and since then it has continuously evolved to what it is today. In the 1970s and 1990s, they acquired more land and today they produce their wine grapes only from their own vineyards. They are organically certified since 2014 as well as favouring sustainability by having installed a photovoltaic system and control of CO2 emissions in 2009. In fact, their Lugana DOC wine is labelled organic since the vintage 2015. At my friends’ wine bar in Florence, La Divina Enoteca, I often taste their Lugana Brut Spumante Metodo Classico that I really like a lot. It is an elegant and fruity sparkling wine with a good body that is perfect for an aperitif as well as with food. Here I will talk more about their Il Lugana DOC 2017 though that I bought at La Divina Enoteca. It is a wine made with Turbiana grapes that are grown on the hills in their vineyards in San Benedetto di Lugana close to Peschiera del Garda where the soil is clay, just as I have discussed above. The juice is fermented only in steel vats with a following maturation in the bottle for 3 months. It is a fresh, mineral, and salty wine with a clear lake influence. My first impression was floral notes of elderflowers as well as elderberry, a green scrub-herby undertone, almost a bit sauvignonesque at a certain point. Then also the cleaner fruity notes came out. Podere Selva Capuzza is located in the Desenzano del Garda area, 4 km south of Lake Garda, that is also in the province of Brescia. The winery is owned by the Formentini family and I have met Luca Formentini at different tasting events during the last couple of years. Luca is a fun and very nice guy and he is also the current president of Consorzio Tutela Lugana DOC. They produce a wide range of wines from white wines, to rosé, sparkling, and red wines. Several of the white wines are produced within the Lugana DOC denomination. They have a long history as vine growers and winemakers in the area. 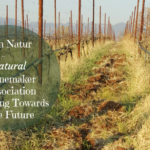 Today, they believe in an ethic and more holistic approach to winemaking where they strive to respect the environment as far as possible. 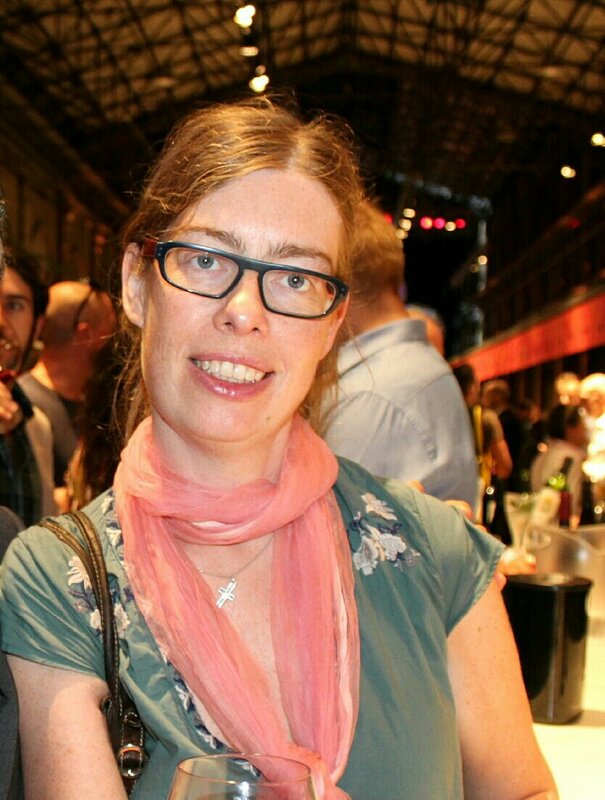 Here I will talk about their Lugana Riserva DOC Menasasso 2013 that I tasted at a dinner in Siena some time ago together with Luca, Carlo Vischi and other cool food and wine writers and influencers. For this wine, the Turbiana grapes are matured a bit longer on the vines before they are harvested in order to give more character but still not losing in acidity. The major part of the juice is fermented in steel vats while a smaller part of the juice is fermented in barrique. After 10-14 months the two parts are blended together to mature for still some time. This is a wine where you, of course, feel the minerality and the saltiness and it has notes of citrus fruits, a more green touch of herbs and under vegetation. A structured, smooth and very elegant white wine. 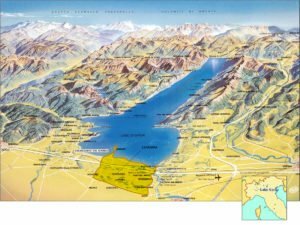 Having looked more in-depth into these three wine producers and their Lugana DOC wines I think that the influence of the Lake Garda, its microclimate, and the clay soil is very evident in all three. The wines are mineral, salty, sometimes with an almost chalky feeling. The notes are predominantly fruity, of citrus fruits, elderberry or peach, with a greener tone also being present. 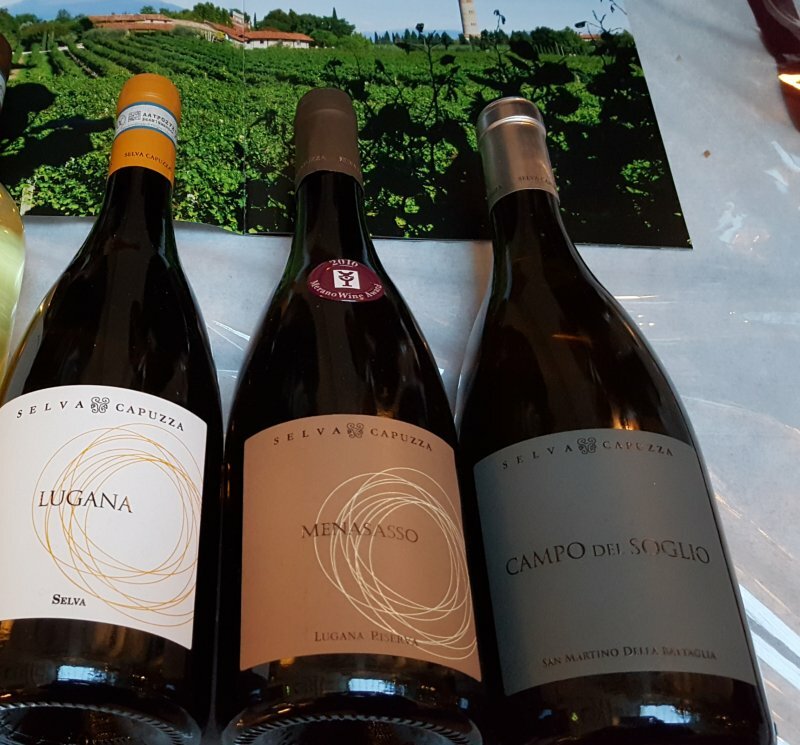 The Meridiana and Pasini San Giovanni Lugana DOC wines are younger, fresh, fruity and perfect for lighter food while Selva Capuzza’s Lugana Riserva is structured, smooth, with a good body that pairs better with more elaborated dishes. Join us this weekend when Lugana DOC will be pouring their wines at the 2018 Wine Bloggers Conference in Walla Walla WA and the Italian Food Wine Travel group learns more about this wine and region. I would love to try a LUgana sparkling wine! And thank you for comparing the three wines! I also met Luca Formentini here in Boston. Very personable gentleman. Was nice to read of the variety of the ones you tried and the similarities found in all wines of Lugana regardless of classification. Thanks Jen, yes, it was interesting to do the comparison. And Luca is indeed a very cool guy.